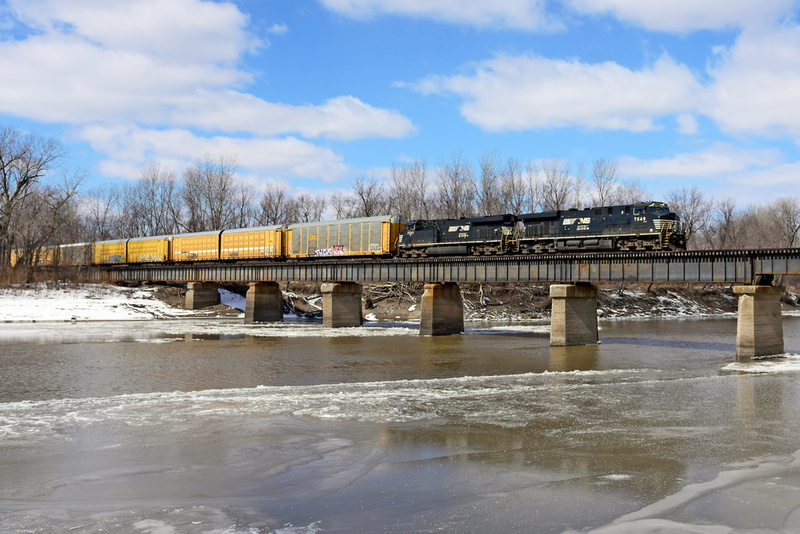 NS 7549 East crosses the Grand River with #285 to Jacksonville. Beautiful shot at a beautiful place !!! @jmadhavadas Thanks! Been wanting to get back in the woods for this angle for years but it’s not very accessible. Finally found a way!